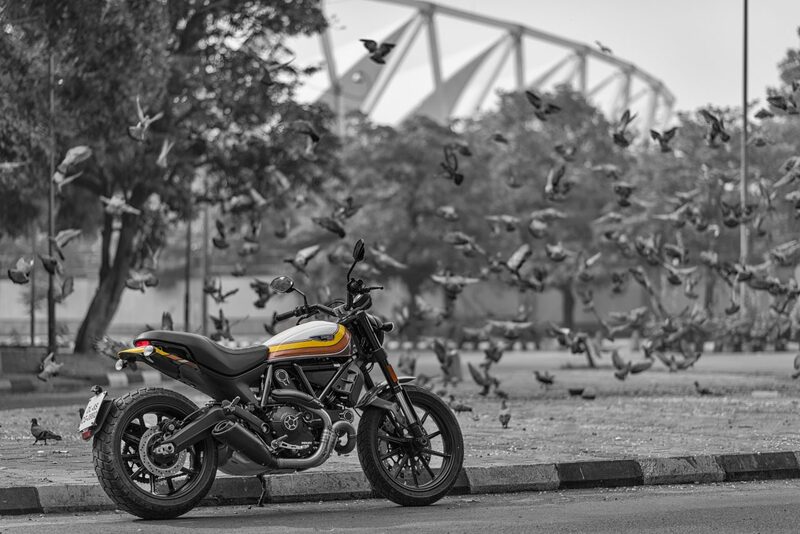 We take the newest member of the Ducati Scrambler family for a spin. Let me start with a disclaimer, make that two actually – I love Ducatis and I don’t understand designer brands. Love for Ducatis is easier to explain, they make bikes which are sporty, fun and good looking — things which you kind of expect when an automotive brand comes from Italy. Designer brands on the other hand, seem like a waste of money to me. Yes, there is a certain value to exclusivity, craftsmanship and good design but maybe not having enough money to splurge on a designer brand has hampered my understanding. This, I hope, gives you an idea about the mixed feelings I had when I first heard of the Scrambler Mach 2.0. It is of course a Ducati and has been designed by Roland Sands, the California based custom bike builder. You see what I mean by mixed feelings, eh? The said mixed feelings surely melted into one solid feeling of admiration after seeing the Scrambler Mach 2.0 in person. The bike looks stunning and photos don’t always do it justice (though we have tried). When you read about it, it sounds like a custom paint job and other bits and bobs but when you see it you doff your, er, helmet, to Roland Sands Design. RSD has successfully created the ‘70s look from California and it is retro and cool at the same time. 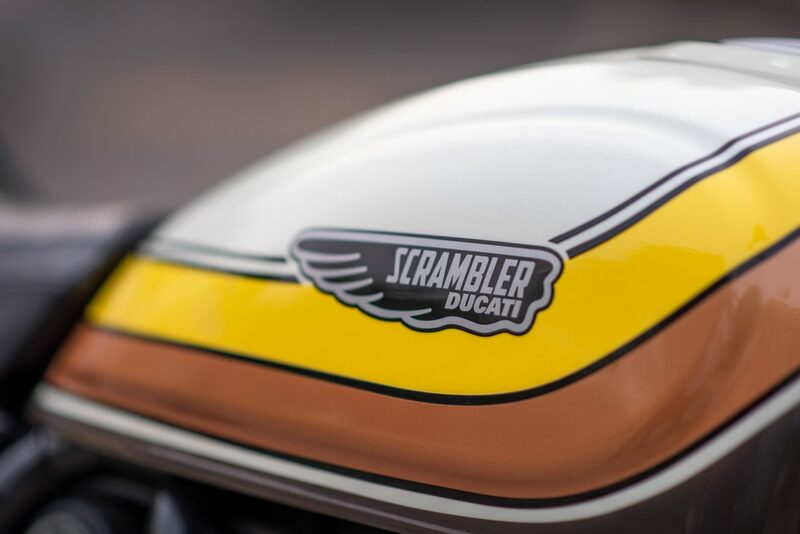 Like on many special edition machines we see these days, there are no loud logos that scream at you and neither does the design take anything away from the Scrambler, which I like. 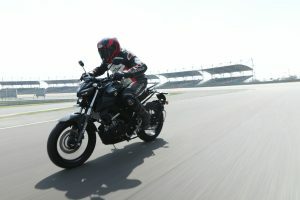 The flat track-inspired bars are a little lower than the standard Scrambler ones, resulting in a slightly aggressive riding position but do not compromise riding comfort at all. It may take a short while to get used to riding with your arms spread wider, but I think that adds to the bike’s cool character. 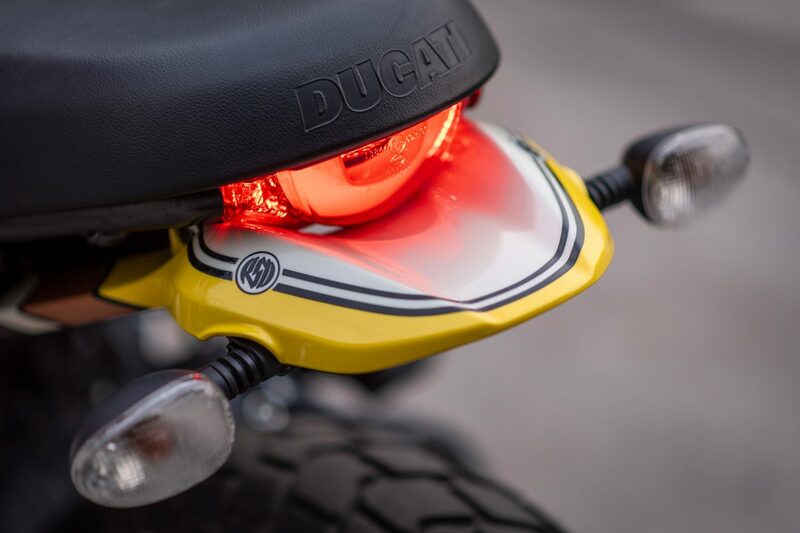 The new seat is better looking too, though a bit hard when compared to the other Scramblers. There are thoughtful splashes of black all around – mirrors, headlight housing, instrument pod, turn signals etc. Mechanically, nothing has changed and I don’t think it needed to. 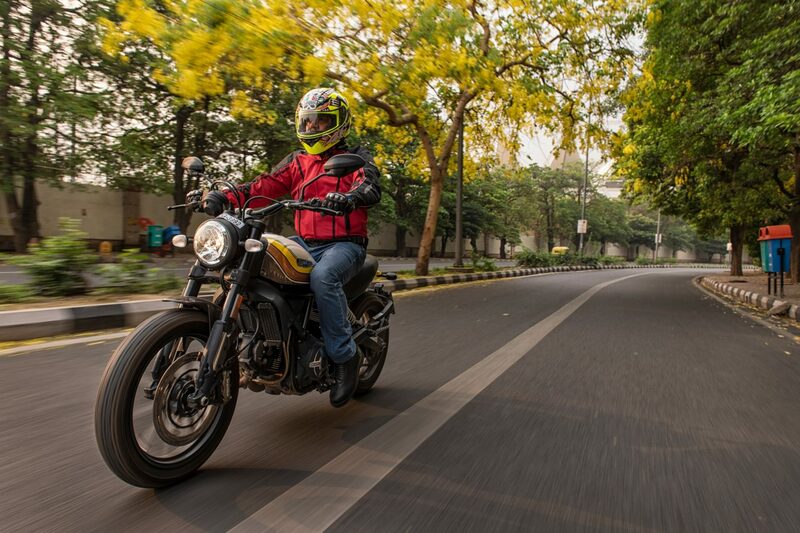 That same Desmodromic 803cc L-twin which powers the Scrambler family, does duty in Mach 2.0 making 73 bhp and 6.7 kg/m. I rode the bike mostly around town and it did feel like an almost ideal everyday ride. Power low down is punchy, with a strong low to mid-range that rewards you as long as you work the gearbox well and stay in that torque range. 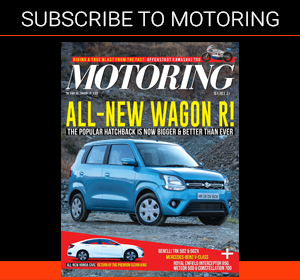 The light clutch makes doing that easy, though the six-speed gearbox could act clunky, especially in the lower gears. I did struggle a bit between first and second gears, though. The Mach 2.0 will comfortably do triple digit speeds, as long as you can bear the wind draft. 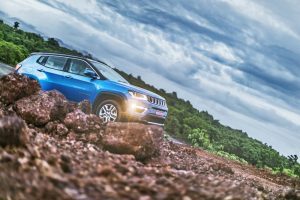 It is always raring to go, is easy to manoeuvre, feels nimble and would make for an exciting partner on mountain roads. The brakes on the Scrambler Mach 2.0 work well to bring you back from those triple digit speeds. There is a single 330 mm disc and four-pot caliper on the front wheel and a 245 mm disc and single-bore anchor on the rear wheel. Suspension is just right, for all kinds of roads and I did go through some rough patches (read most of Gurgaon) and got home without my ageing back cursing me. The Pirellis look more off-road oriented, but gave me no reason to complain during my entire ride which was only on tarmac. Missed opportunity, you say, not taking the Scrambler off road — and I agree. There is no electronic wizardry like multiple levels of traction control or wheelie control. There is ABS and that is enough, I say. 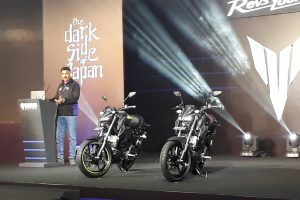 I guess the 1.2 lakh rupee question is whether it makes sense to go for the Scrambler Mach 2.0 (ex-showroom Rs 8.51 lakh) over the Scrambler Icon (ex-showroom Rs 7.32 lakh). Some may feel that the Mach 2.0 is basically the Icon, with designer bits and they are not entirely wrong. I am sure you can sense a but coming and here it is. But if you appreciate good design or like exclusivity or good craftsmanship or want to own a bike you could look at every day and feel good, then the extra money is worth it. Two days of riding the Scrambler Mach 2.0 helped me understand why designer brands are not always a waste of money. 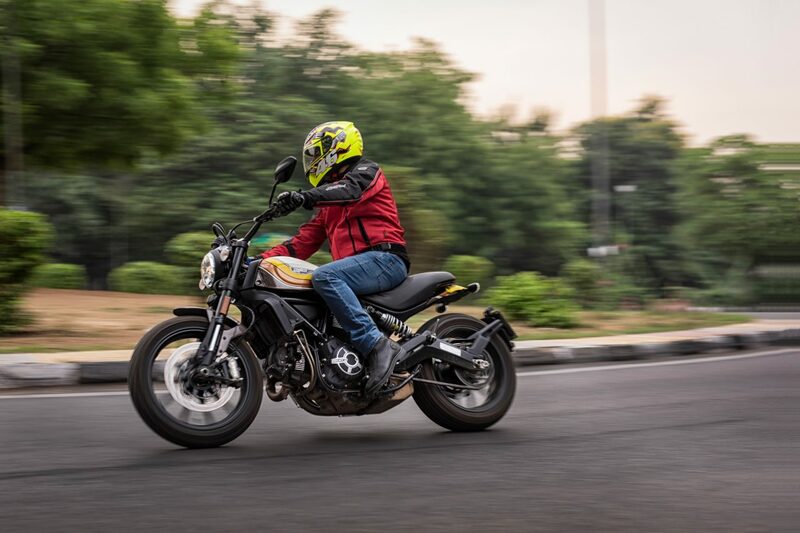 I still won’t consider buying shoes for half a lakh when\ some designer put his name on it, but I would happily spend the 1.2 lakh extra on the Scrambler Mach 2.0. It is effortlessly cool and so worth it.